Poker players both within the United States as well as around the world flock to the US for one of the finest poker experiences possible. Whether you are visiting from a different country or just from across state lines, there is an astonishing variety of card rooms across the US. Not all states in the Union are as accepting to gambling as others, so you want to make sure to plan accordingly. For every poker player, there are different desirable accommodations. Some enjoy a social environment while others prefer a more spacious, quiet floor. Although most players are well-versed in poker rooms, the United States selection of card rooms differs considerably. Some rank higher in comfort while others rank more in helpful staff or complimentary services. Whether visitors are looking for a luxurious setting or a fitting high stakes room to play for hours on end, finding a great poker room in the United States is easy with a little research and passion for the game. Although each and every player may still have an individual preference for a favorite room, be sure to check out the game play at these top five US card rooms. Located close to the Los Angeles International Airport for the convenience of visitors from all around the globe, the Commerce holds the world’s largest poker room with a whopping 200 tables. Although the card room is enormous, the Commerce does not fail at keeping the aesthetic classy and comfortable. 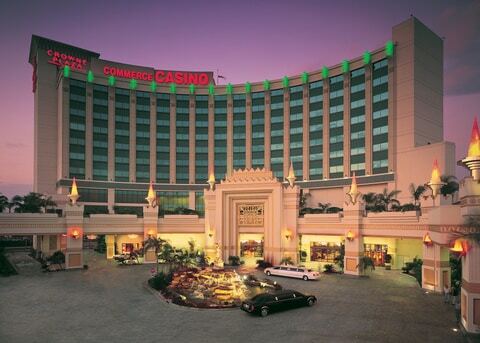 The Commerce is connected to the beautiful Crowne Plaza Hotel to pair nicely with such a monumental sized card room. Guests at the Commerce get to enjoy their time in the heart of LA, with access to close by attractions like downtown Hollywood, the Venice Boardwalk, and Universal Studios. There are also multiple shopping outlet stores and elegant dining locations nearby the Commerce Hotel and Casino. With so many tables, you can choose a game type to start with your own group or find a table for just about any kind of poker game. If you are looking to play high stakes with the big dogs, you’ll find more than a handful of professionals on any given day to give you a real run for your money. For those wishing to keep it casual, the Commerce’s cardroom size allows you to play at your own level. You can even take a free teaching course for any poker game type at the Commerce Casino’s University of Poker. For each game, choose between a number of blinds from low to high. Tournaments are available daily with many differing stakes. Check out the Commerce’s major tournament, the LA Poker Classic, which stands as one of the biggest annual poker events in the world. One fundamental difference when playing any table game in California is that players solely play against each other, not the house. Due to California state gambling laws, the players at the table must take turns being the assigned Dealer/Banker, and the Commerce must rake a smaller administrative fee per hour rather than per game. Players that are new to the Commerce are often encouraged to watch and get a hang of the slight differences before playing. Here is the list of poker types as well as table games offered at the Commerce Hotel and Casino. Traveling just east of LA will bring you to one of the world’s gambling capital cities, Las Vegas. Although Nevada is not known for the massive card rooms found in other places within the United States, Las Vegas spells out luxury for some of the most breathtaking resorts and card rooms in the world. On the top of Sin City’s list of most amazing card rooms sits the Bellagio. Whether you are craving a relaxing set of hands with little crowding or would rather have excitement and flare, the Bellagio’s casino floor has got it all. For the high roller’s, Bobby’s room is considered one of the most exclusive and luxurious high stakes poker rooms around with a $20,000 minimum buy-in. The Bellagio does not offer as many game types due to its far lesser number of tables the Commerce. However, if a party of players wishes to start their own game, the staff at the Bellagio will accommodate. The service really does reach a new level in the Bellagio with one of the top groups of casino personnel in the country. As for playing cards, blinds start as low as $1/$3 no limit and $4/$8 limit poker, both having a significant variety of higher blinds to choose from. Rake systems in Vegas all tend to run similar with a 10% rake on a $4 max cap per hand, although higher stake games will have a rake over time system pending on the limits. 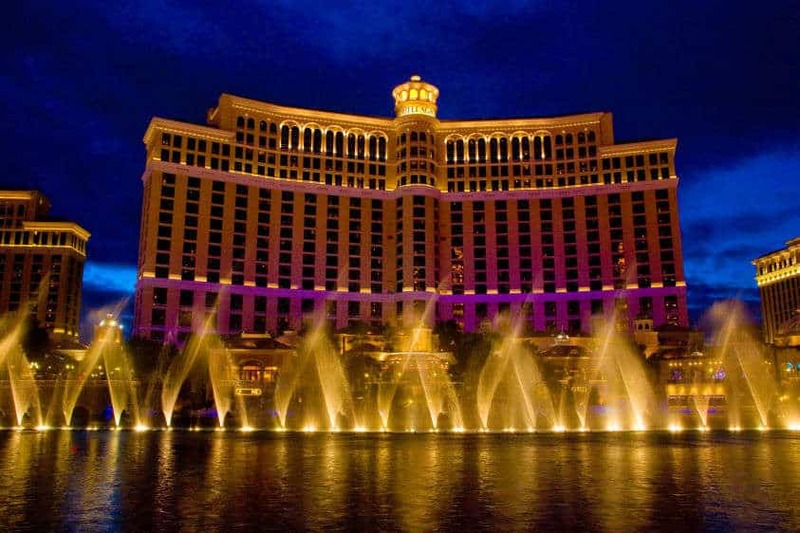 Here is a list of poker types and other table games offered at the Bellagio Hotel and Casino. Directly east of Las Vegas is one of the country’s top gambling cities, Tunica, Mississippi. With a majority of the southern states holding a rather strict stance on gambling, Tunica is a centralized hub for card players in the South. The annual World Series of Poker (WSOP) stops off at the Mississippi for some southern hospitality found in Tunica. An excellent reason for choosing Horseshoe Hotel and Casino is the atmosphere. 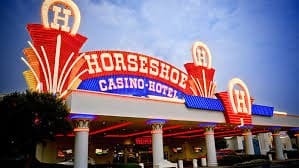 Although Horseshoe is owned and managed as one of the many Caesars Entertainment hotels, the vast amount culture and southern decor give you a taste of the Mississippi. Check out the delicious restaurants and bars throughout the resort or enjoy seeing a live band in the Bluesville Showroom. Poker is the name of the game and players can find it at its best at Horseshoe. This casino hosts poker games 24/7 and is always hosting daily tournaments at a number at different buy-ins during the week and larger buy-ins on the weekend. Players can also relax in the Horseshoe’s World Series of Poker Lounge if waiting for a game. Poker games start at $1/$3 and rise. As with all Caesars casinos, if there are ever a group of players wanting to start a game type that is not presently on the casino floor, the Horseshoe staff will set you up a private style game. Hit the United States’ eastern coast and you will find yourself stopping in at the one and only Atlantic City. Located on the New Jersey coastline, Atlantic City has always been one the country's top destinations for poker. Among the many casinos in Atlantic City, the Borgata resort has the most action and availability for all experience levels. 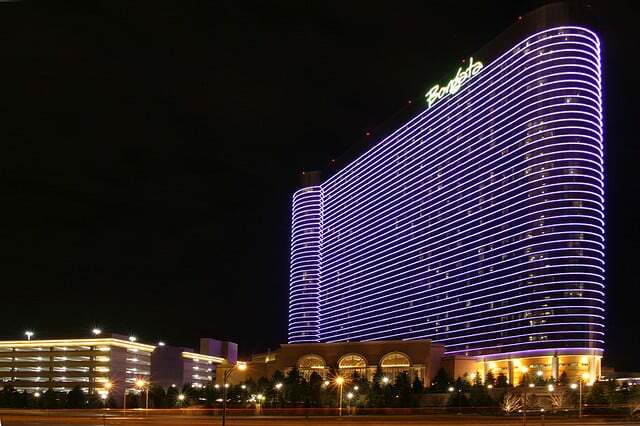 The Borgata takes into account how many players are on the floor at a given time and will open or close more tables depending on the amount of action. A great feature is the Borgata’s live game report which allows you to view how many table are open, which game types are most popular, and the differing amount in blinds. The highest volume of players enjoy the minimum, no limit Hold’em games that start at $1/$2. However, the Borgata offers higher blind games up to $200/$400. Get in on the BadBeat jackpots for either Hold’em or Stud games. 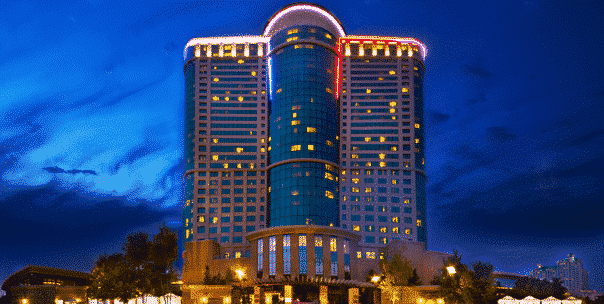 The last card room on this list is in Mashantucket, Connecticut at Foxwoods Resort Casino. Foxwoods is the largest poker hub on the East Coast with over 150 tables dedicated for major events and tournaments. In addition, with 100 more tables for other favorite table games and a 3500 seating bingo hall, Foxwoods is by far the largest gambling attraction around. In crowded poker rooms found in Las Vegas or Atlantic City, players are constantly waiting to get in on the poker action. On the other hand, at Foxwoods the vast space and helpful staff will have you focused on your poker hands rather than trying to snag a seat. Another fantastic feature of such a large casino floor and staff is your ability to create a game if the type is not currently being played. If you have an upcoming event such as a banquet, birthday, or bachelor’s party, you can book tables in advance to have Foxwoods privately host you and you friends. See what games are currently being played not at the Foxwoods Current Table section of their website. The Current Tables updates multiple times a day with the game types, blinds, and the number of tables that hosting contestants. Blinds vary with the game type but typically start $1/$2 and keep getting higher. For newer players, feel free to check out the helpful game type guides presented on the Foxwoods website under the “Poker” tab. Rake structure at Foxwoods is 10% up to a $4 max per hand as seen across the US. These five locations spread across the country all are the cream of the crop when it comes to card rooms. When selecting the right card room for you, it always helps to keep in mind what casino characteristics you rank highest. The list of five very different poker destinations all brings their own unique components to the table. Depending on your own preferences, the United States brick and mortar gambling industry has absolutely anything you are looking for to build a spectacular gaming experience. Remember your limits and to always play safe. Have fun and good luck!